Mean Well HRP-450-24 Power Supply, Switching, Pfc Enclosed, 451.2 W, 24 VDC, 18.8 A, 8.9" L x 4.1" W x 1.6" H, Silver, 4.0999999999999996" width, 8.6" Length. 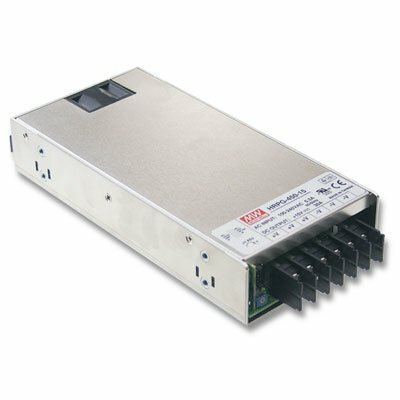 Product type - ac to dc power supply. Efficiency ( percent ) - 88. Type - auto switching. Mean Well HRP-450-24 Power Supply, Switching, Pfc Enclosed, 451.2 W, 24 VDC, 18.8 A, 8.9" L x 4.1" W x 1.6" H, Silver, 4.0999999999999996" width, 8.6" Length. Unit Count : Power Supply.